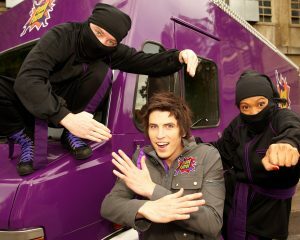 ZDF has acquired the Australian version of kids hidden camera series Prank Patrol. The German public broadcaster acquired the series from Marvista, which sells it internationally. The show was created by Canadian indie Apartment 11 for Canada’s YTV. The Australian version of the live-action series, which travels from the cities of Melbourne to Brisbane, is made by activeTV. The local version of the show was commissioned by public broadcaster ABC for its digital kids channel ABC 3. There are now 91 episodes of the Australian show. UK public broadcaster the BBC’s digital kids channel CBBC has already bought the series as has Italian public broadcaster Rai. The BBC also has a local UK version of the show. Separately, 9 Story said it has sold preschool animated series Daniel Tiger’s Neighborhood to ABC (Australia), Canal+ Family (France), Hop TV (Israel), YLE (Finland), NRK (Norway) and Zee Learn (Indian Subcontinent).